SHIFT-IT Online kicks off in just a few hours. Every time I send out a last minute notice someone gets it at the EXACT right time … and they join at the 11th hour (perfectly on time). Maybe its you this round?! If so, come! We are getting ready for ya! 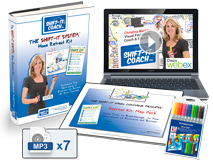 This 7-week online coaching program is for people who are ready to Become Your Next Self … in whatever area or combo of areas you want to SHIFT (right livelihood/business, prosperity, relationship, body, fulfillment, etc). Perfect if you are at a natural life crossroads or transition period (job or biz change, significant birthday, separation/divorce, new union, empty nest, ready for your next expansion, craving more creativity, authenticity, fun etc. All sessions are recorded … so you can access any you miss or participate via the recordings and class forum if you are in a geography where it’s awkward to join us at the live time. 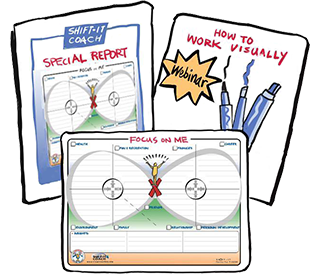 Plus, the 17 ‘Visual Coaching’ maps that form the foundation of this program are immediately available upon registration … so you can get crackin’ on your SHIFT right away. FYI, you DO NOT need to be an artist to partake in Visual Coaching (the drawing is done for you … if you ARE an artist, then you can weave in your own artistic flair to the maps provided). Brain researchers share that over 87% of people are Visual Thinkers (meaning they learn and retain info best when visual means are used). 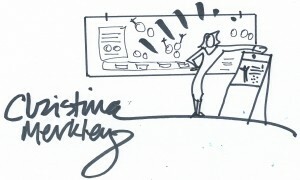 That’s why we use a visual approach — plus, I’m a doodler from way back (ask my high school math teacher!) … Its fun! Our classes attract wonderful, supportive, creative leaning folks from all over the world. A truly safe place to explore what is up for you now in your professional and/or personal life … and to manifest what you next desire. If SHIFT-IT feels like a match for you, I look forward to beginning our coaching alliance in just a few hours! See you soon! P.S. Online group doesn’t seem right for you? 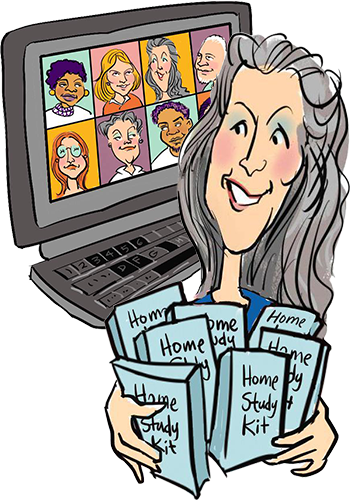 Consider private coaching with a Certified Visual Coach®, or alternatively, work through The SHIFT-IT Home Retreat Kit by yourself at your own pace. P.P.S.You certainly don’t have to be a Coach or other Process Professional to participate in this class … however, if you are, check out Visual Coach Certification® (SHIFT-IT Online is one of two required pre-requisites). Our next cohort is April 2015. P.P.P.S. For a full list of our 2015 courses, including the upcoming Fundamentals of Interactive-Visuals (Online Version), Click Here.